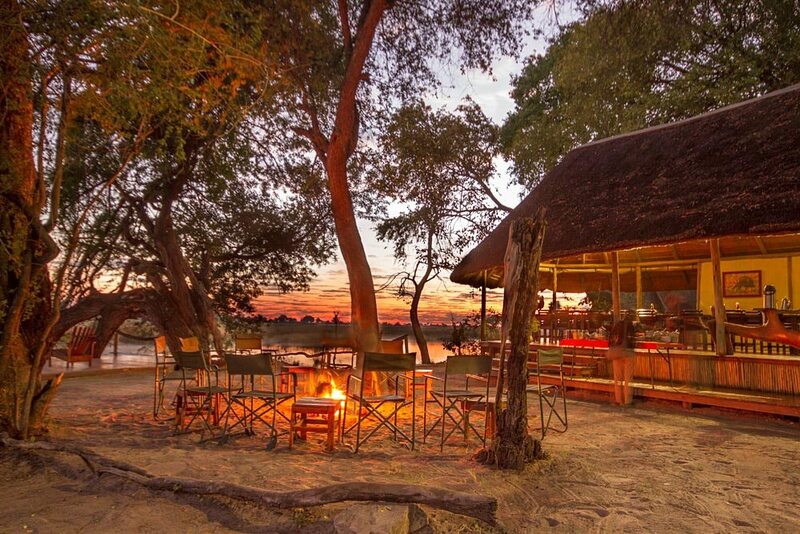 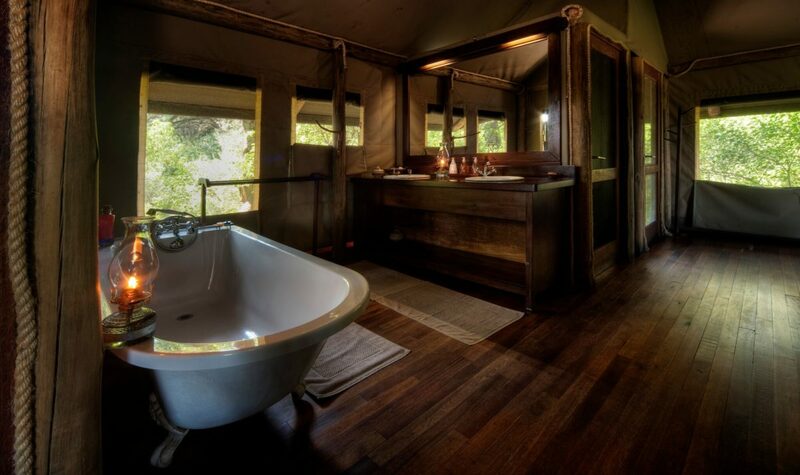 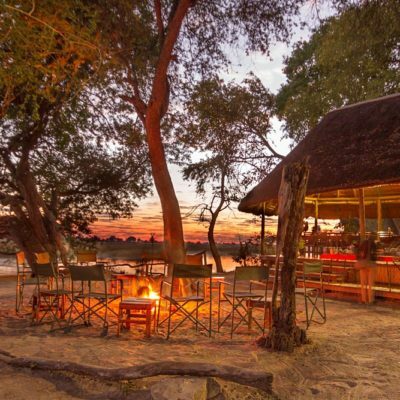 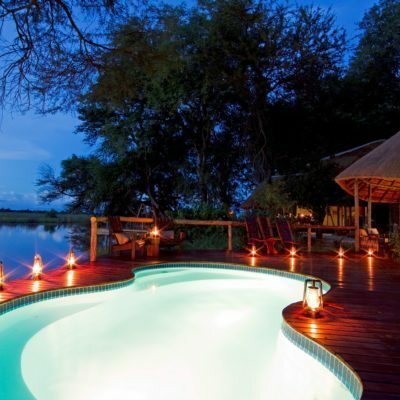 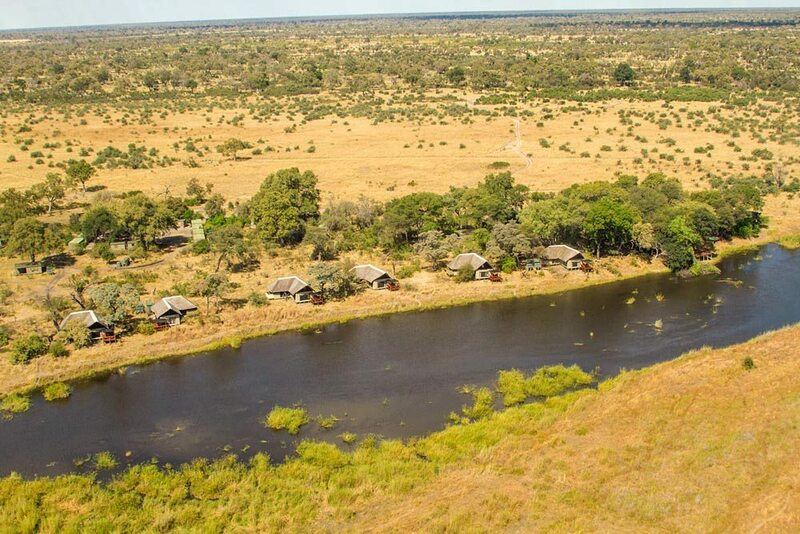 Lagoon Camp is located in the vast Kwando / Linyanti ecosystem. 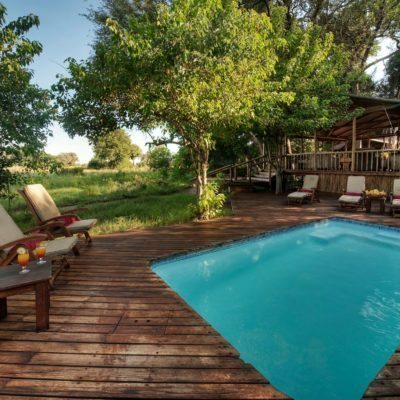 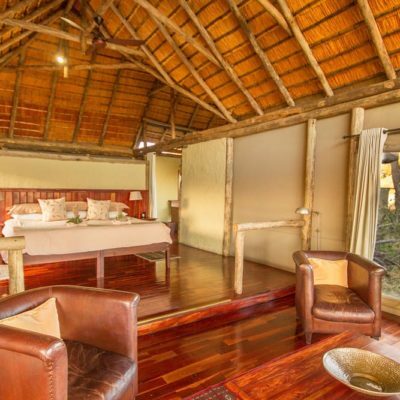 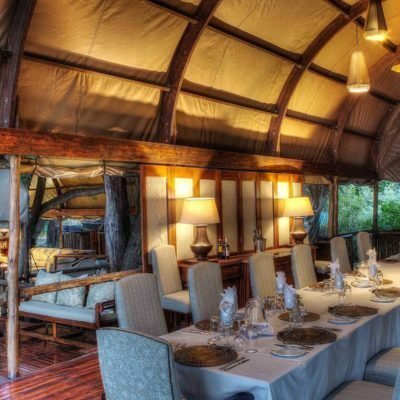 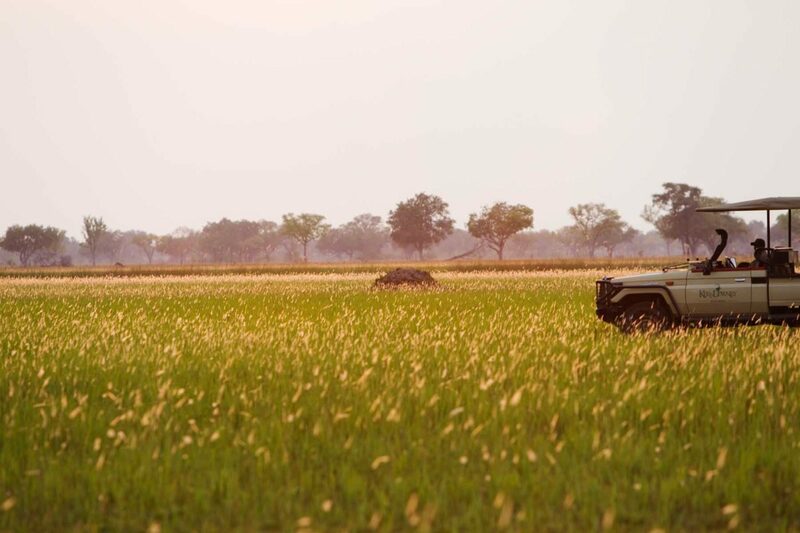 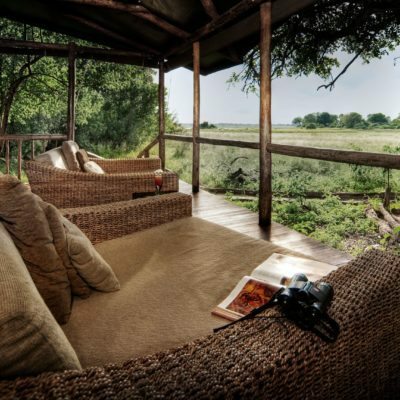 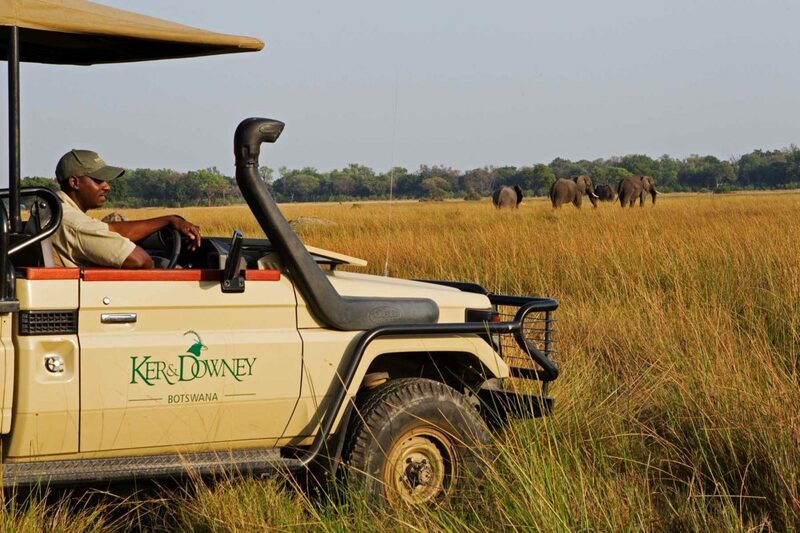 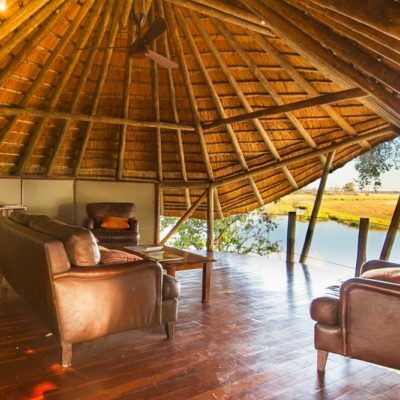 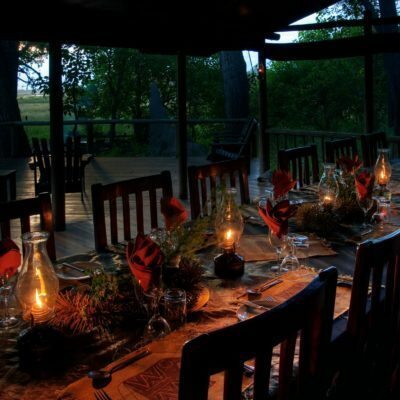 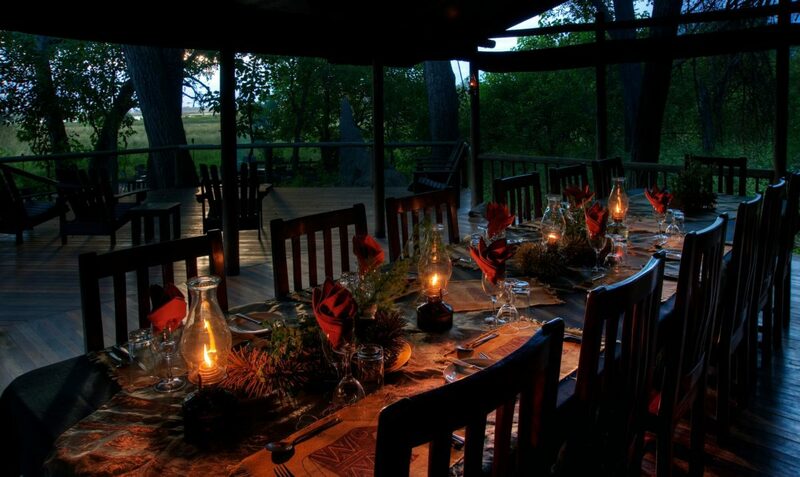 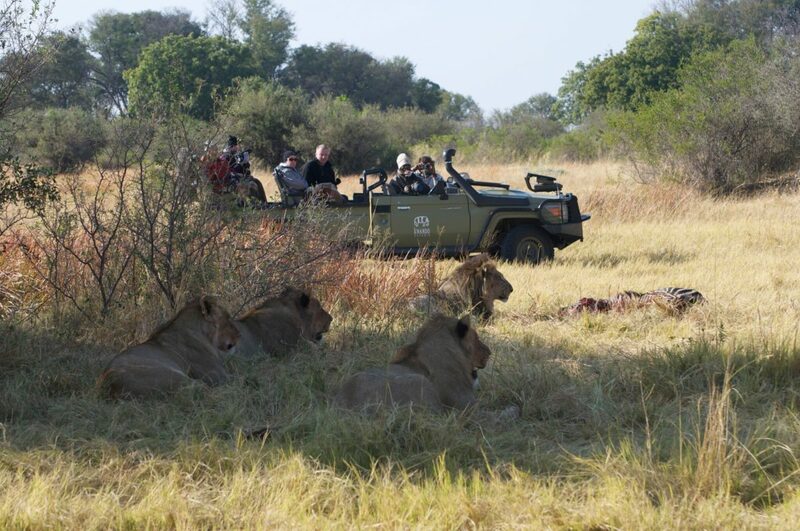 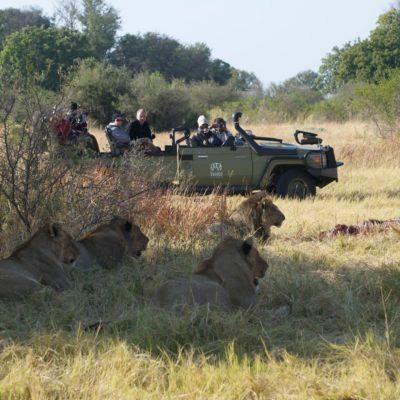 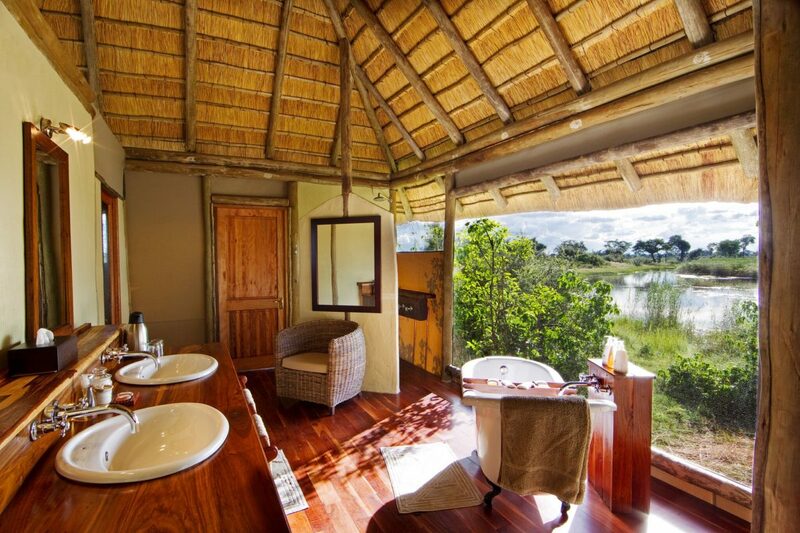 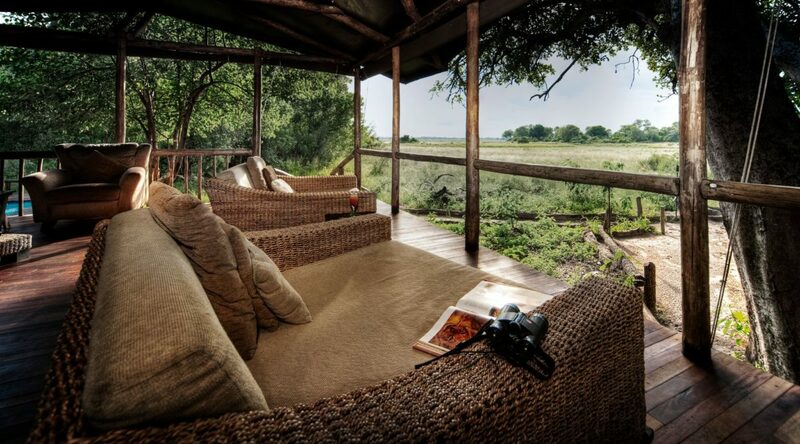 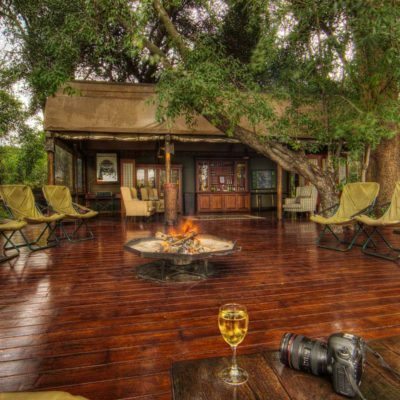 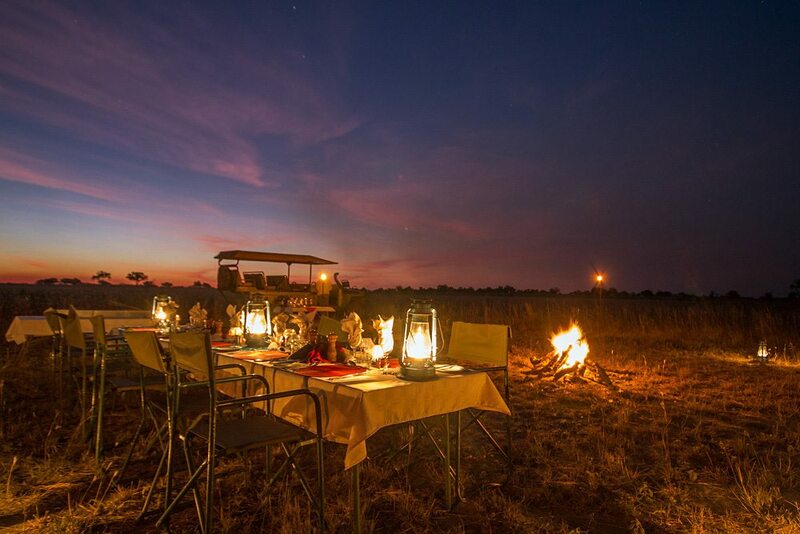 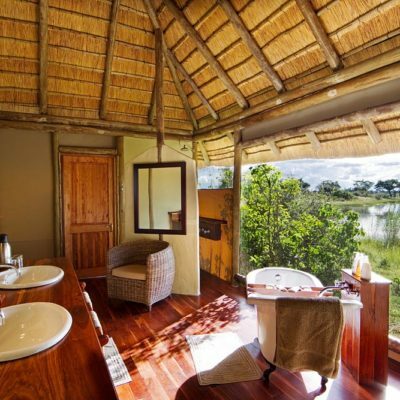 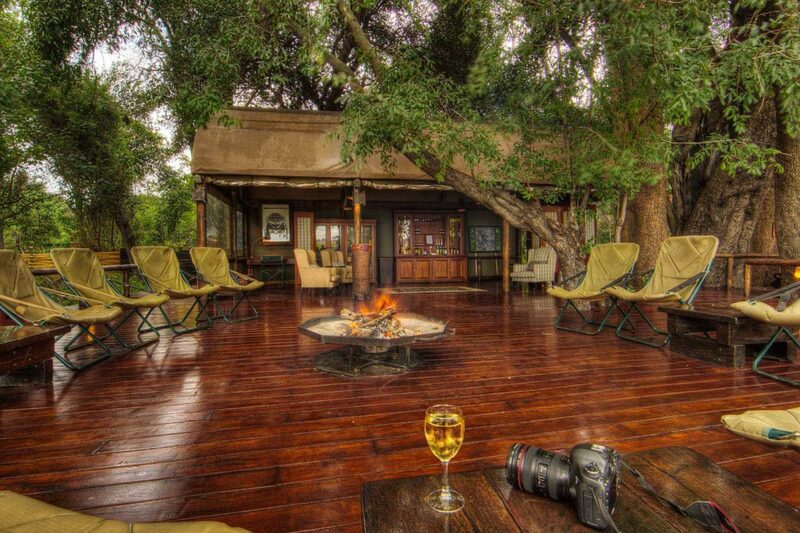 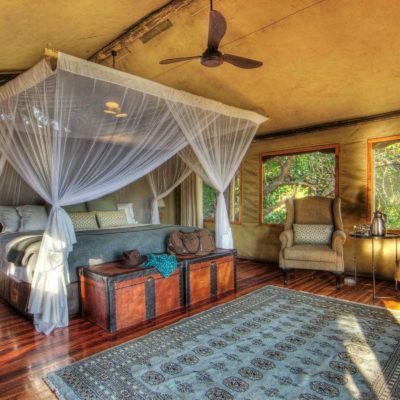 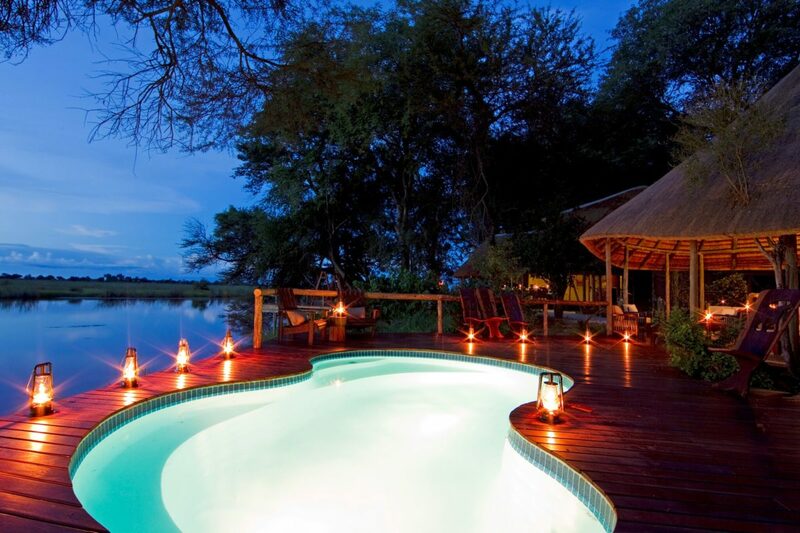 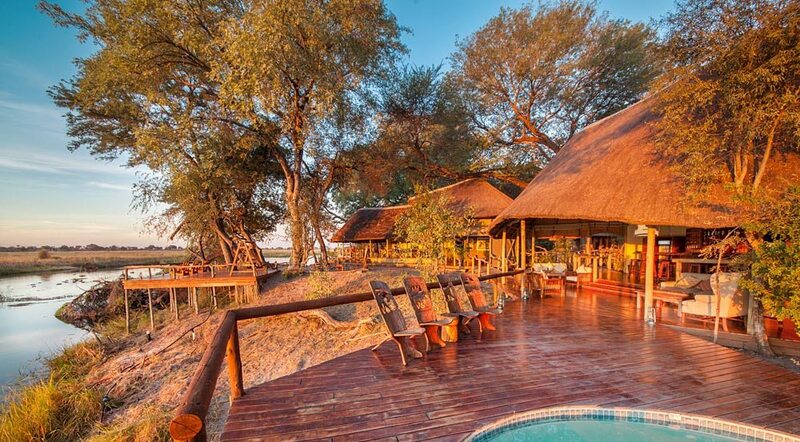 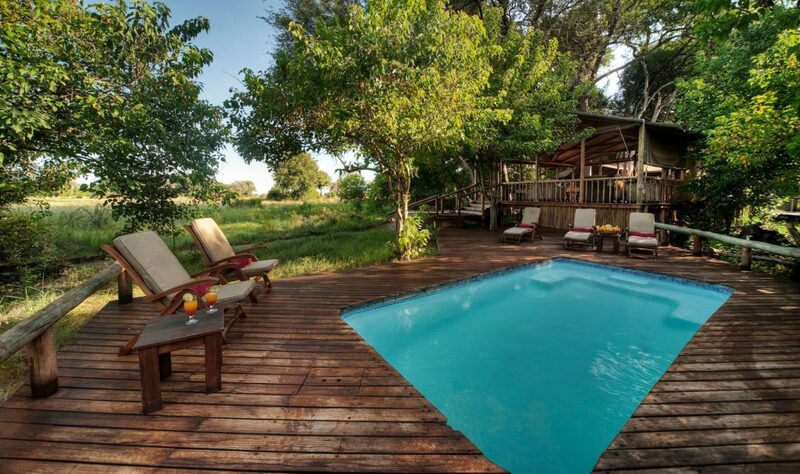 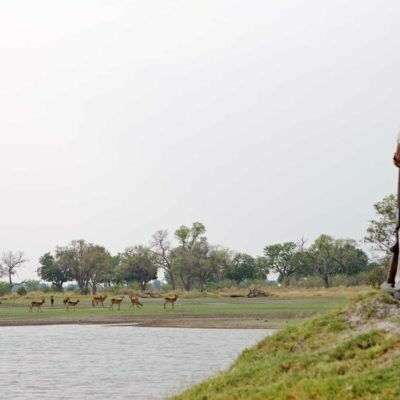 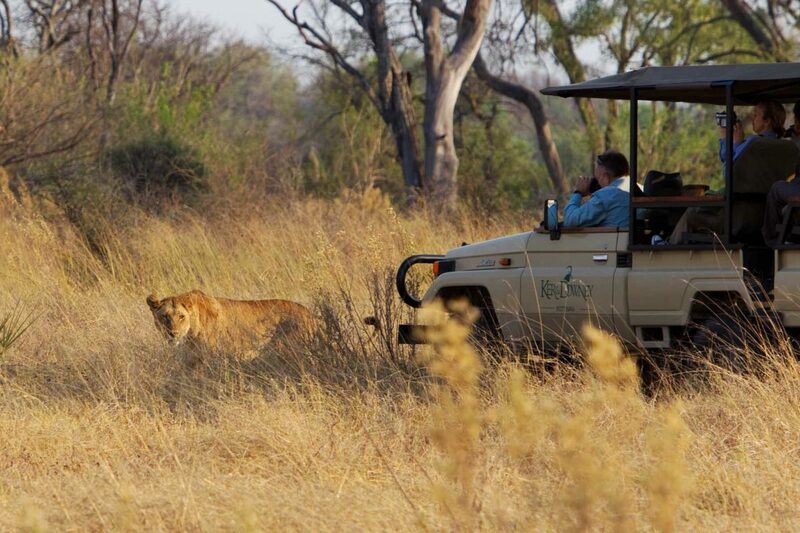 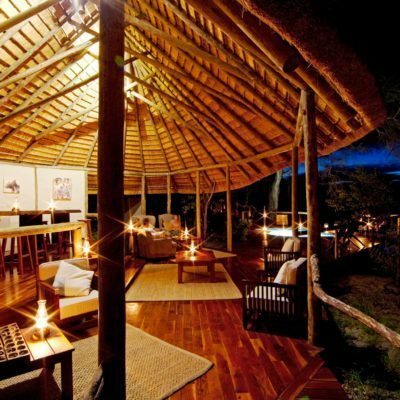 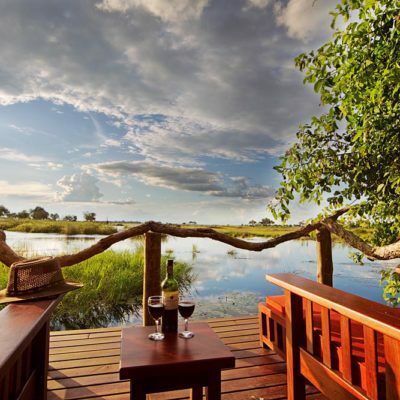 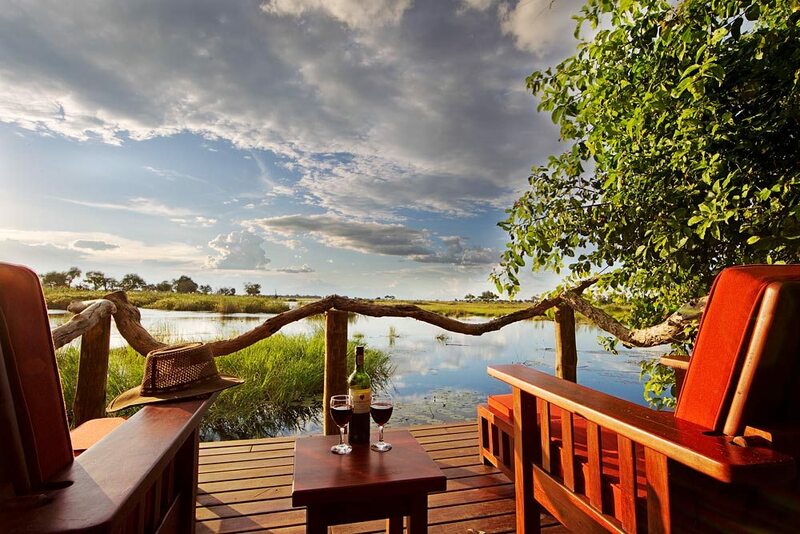 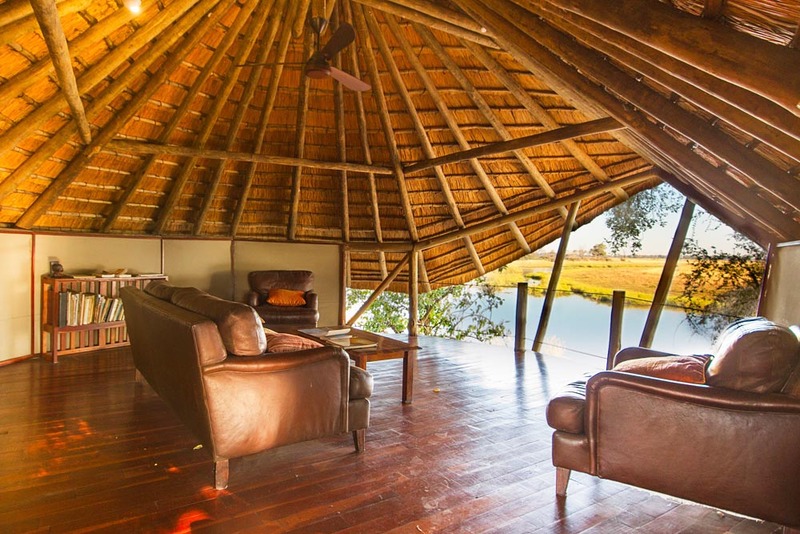 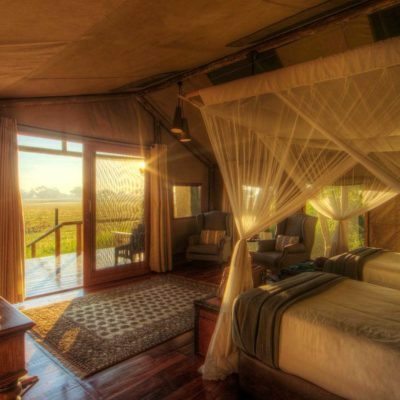 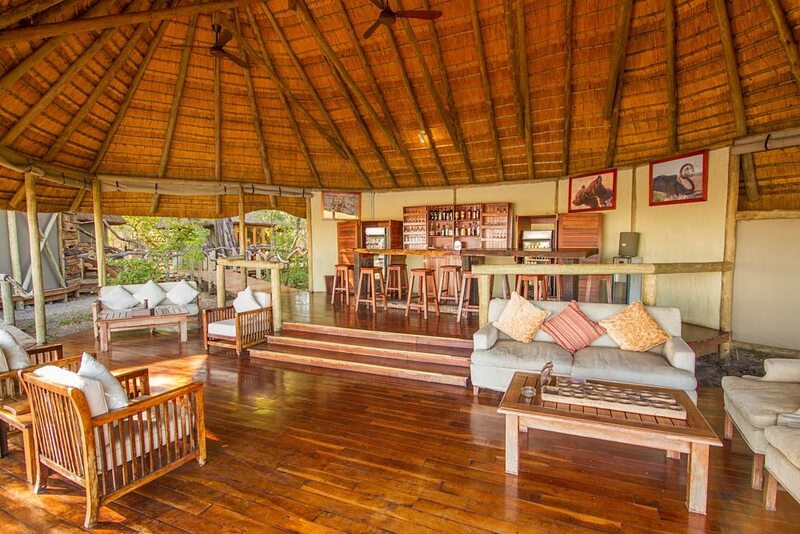 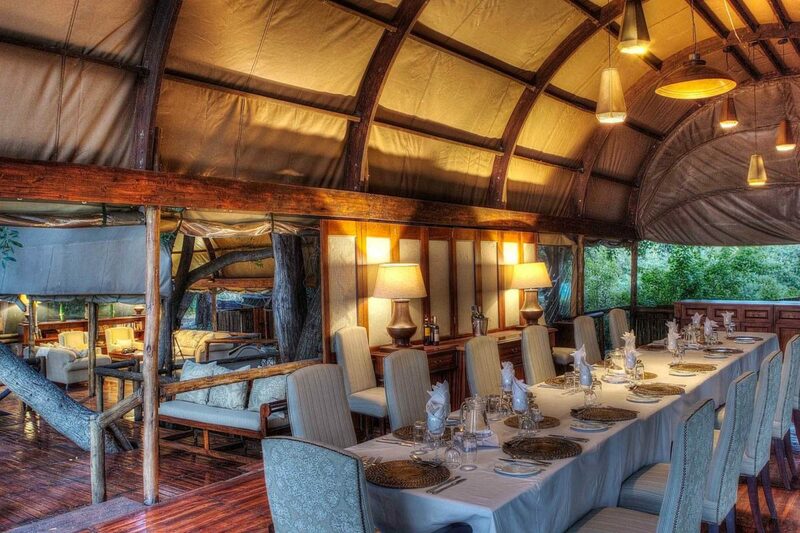 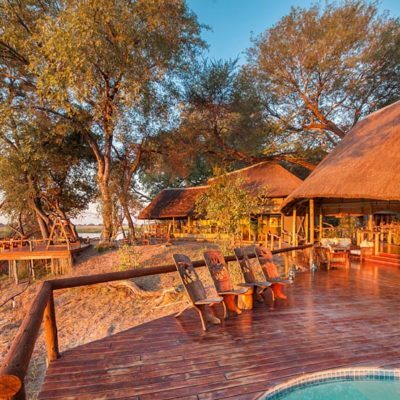 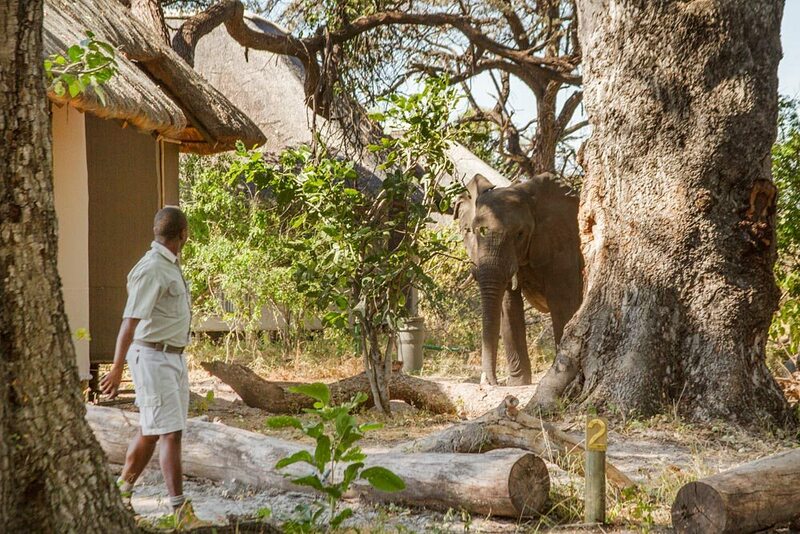 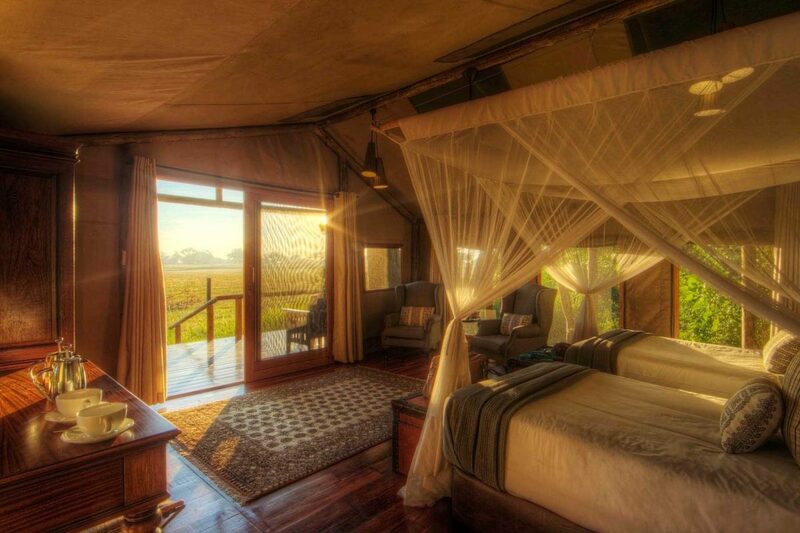 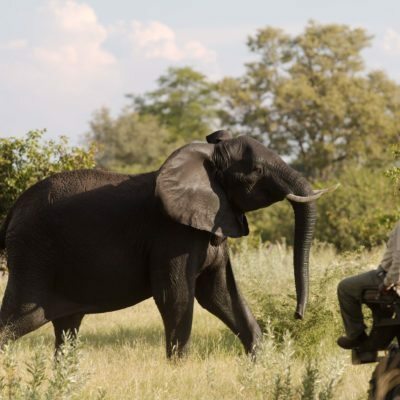 This means private, unparalleled game viewing in one of Botswana’s best private concessions. 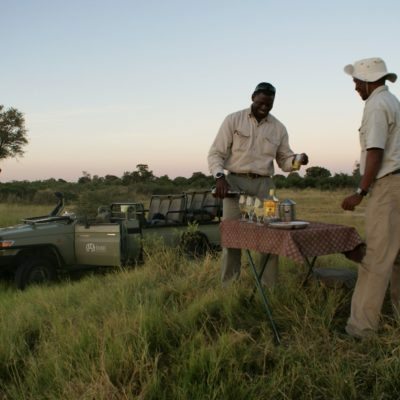 This is a “dry land” camp, so game drives are the main focus. 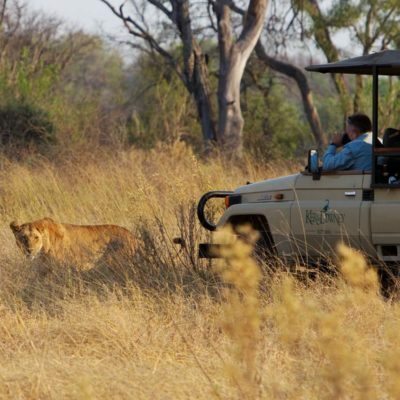 The area is particularly popular as wild dog sightings are consistent. 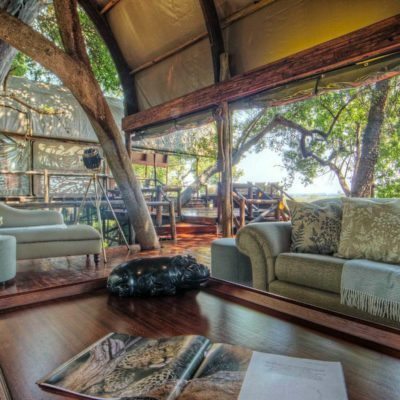 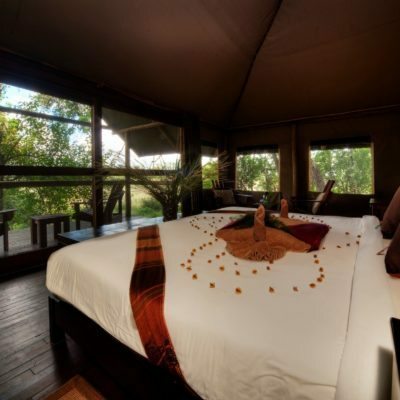 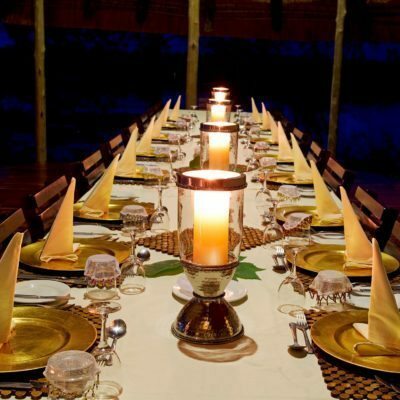 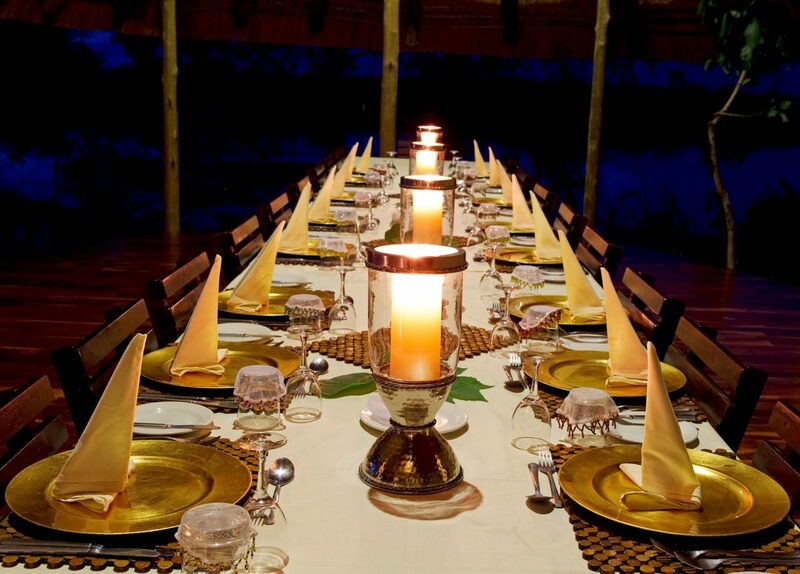 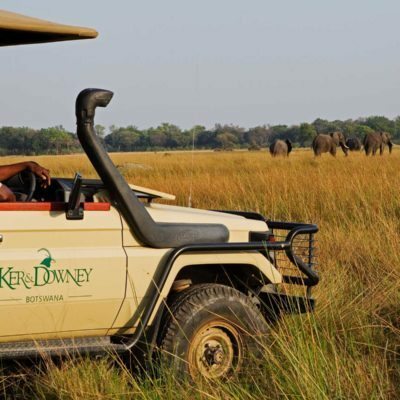 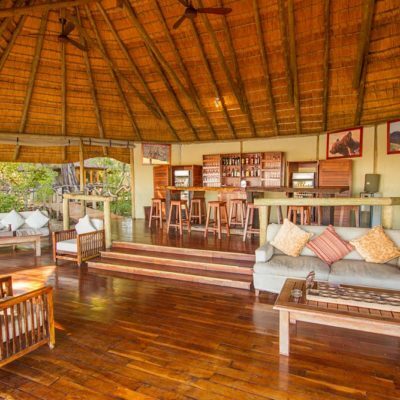 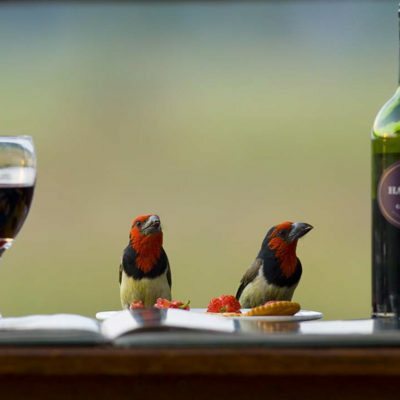 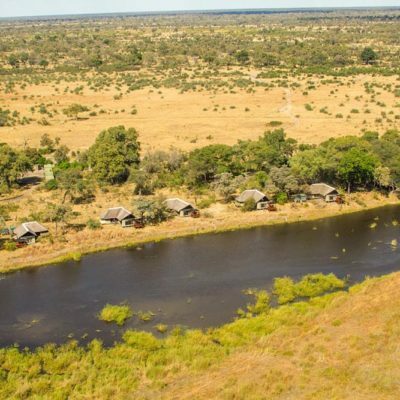 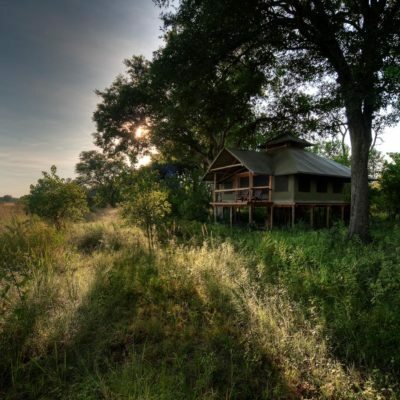 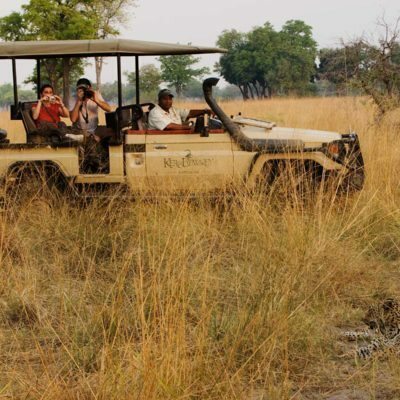 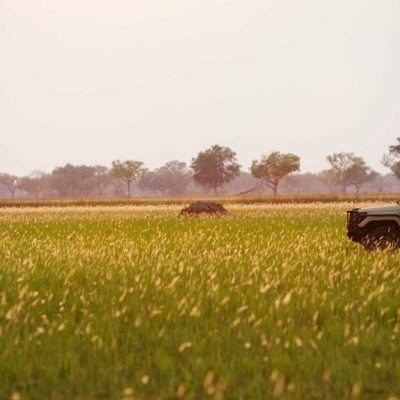 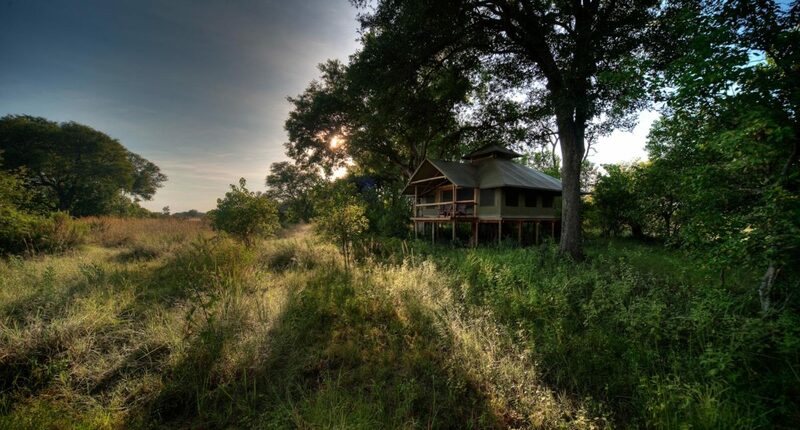 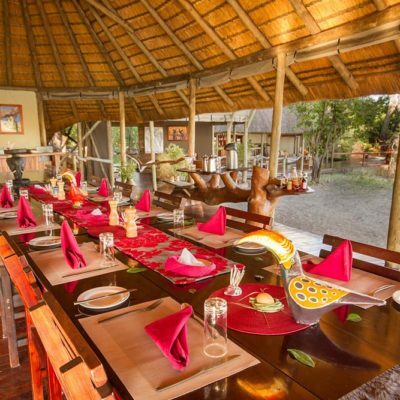 It is however, famous for all round top quality game viewing of the highest quality and so can be booked as a “go-to” camp for assured quality wildlife experiences. 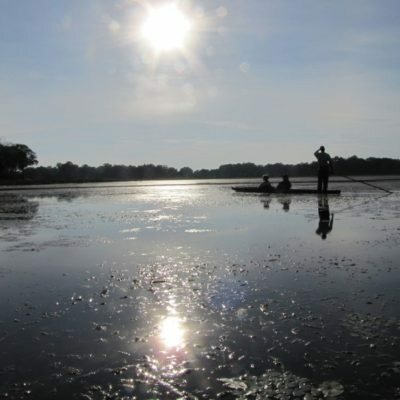 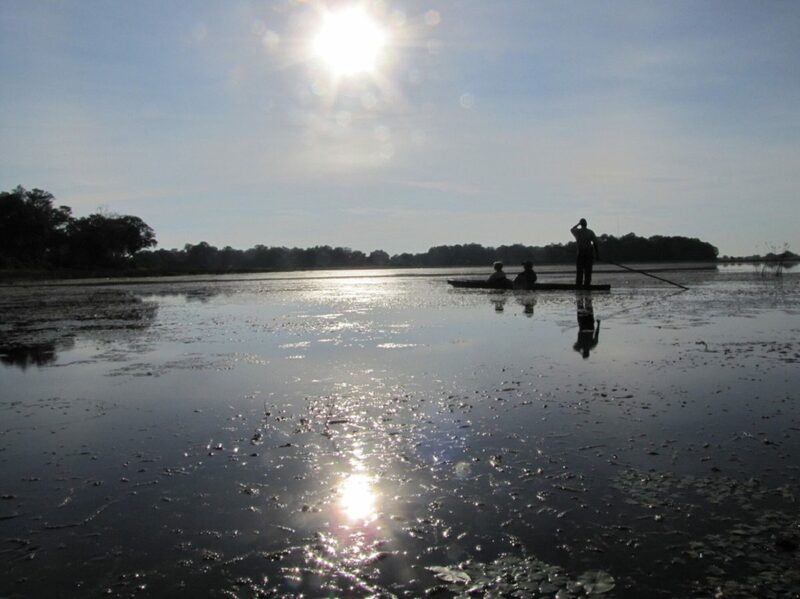 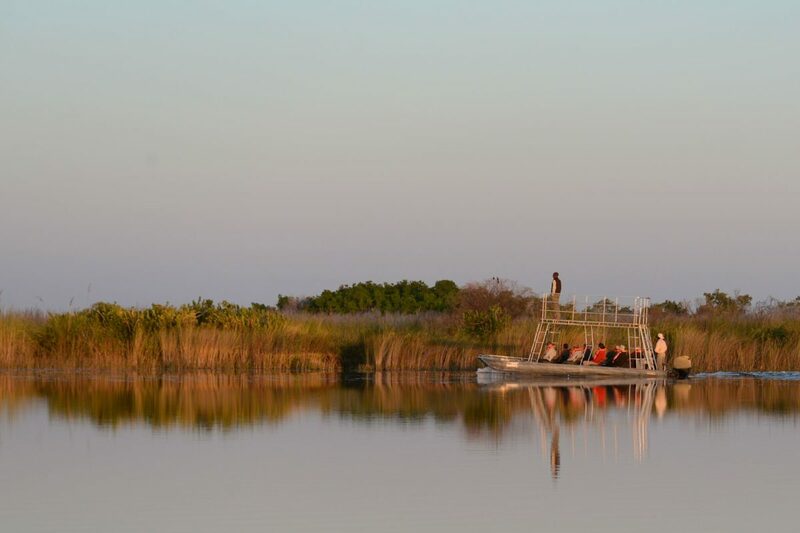 The location on a large lagoon also means the camp can offer boat cruises. 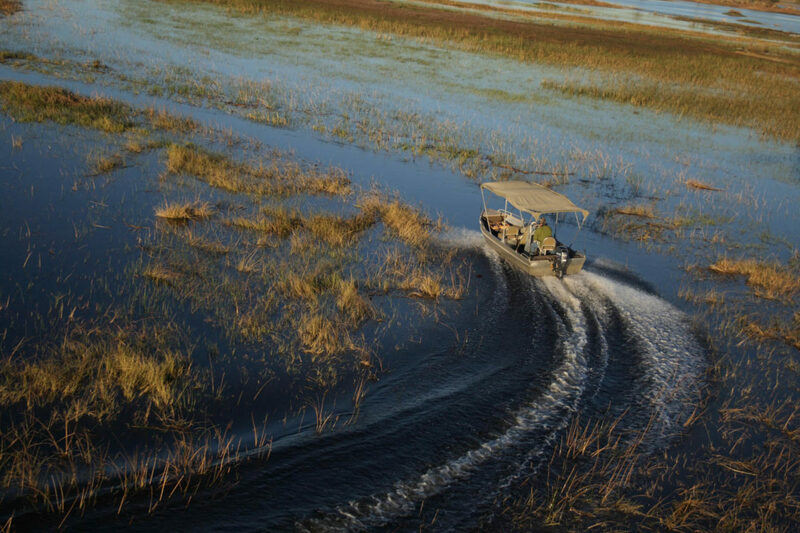 Most people fly into Lagoon Camp using the nearby airstrip (about 40 minutes from Maun and 35 from Kasane). 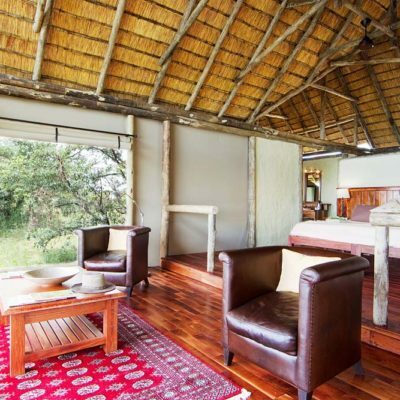 If you combine with a stay at Lebala Camp (also Kwando Safaris) you can get a free road transfer between camps – this can save you a light aircraft transfer cost. 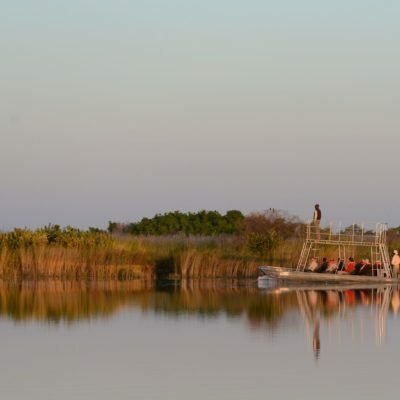 Pleasant boat cruises (and fishing) are also offered on the Kwando River. 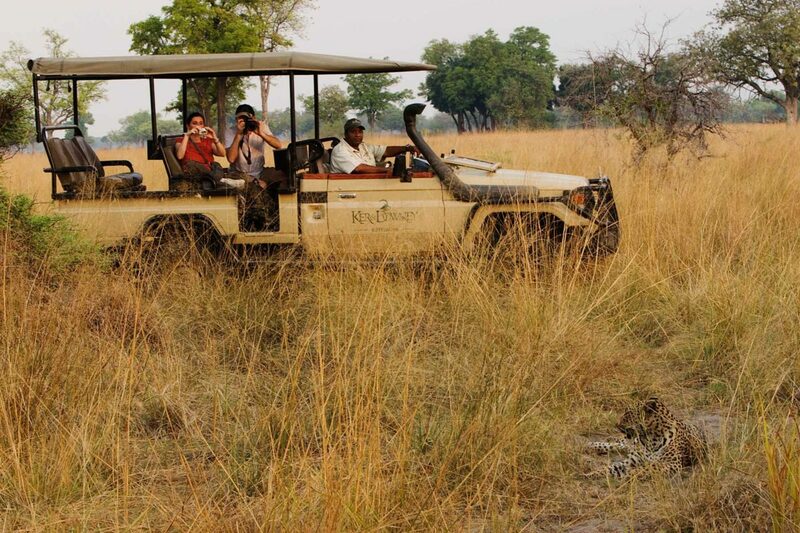 Walks are also possible but we find the guides not to be particularly geared towards this. 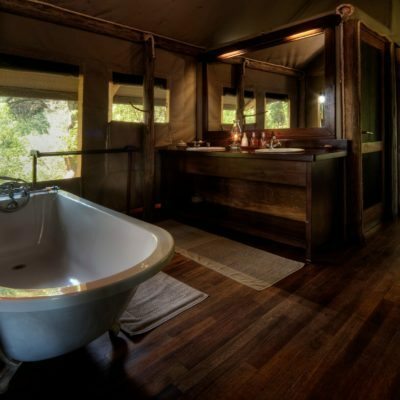 Further, do not expect the best fishing kit to supplied in this camp. 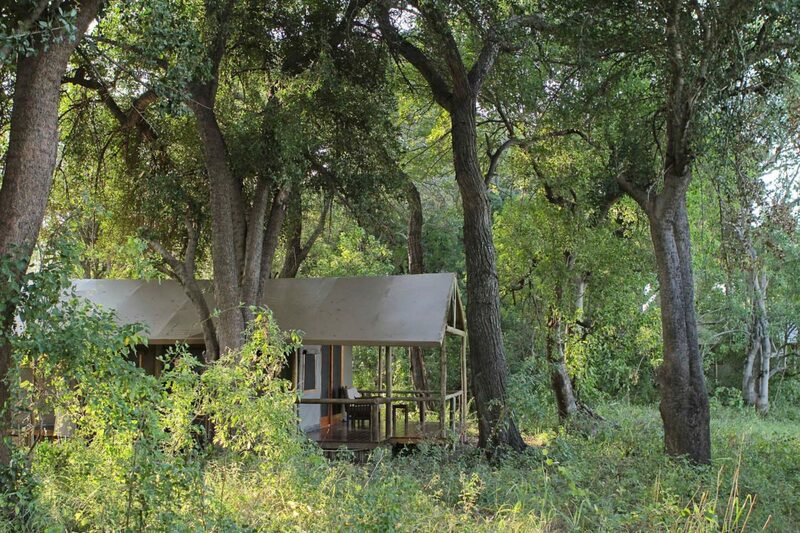 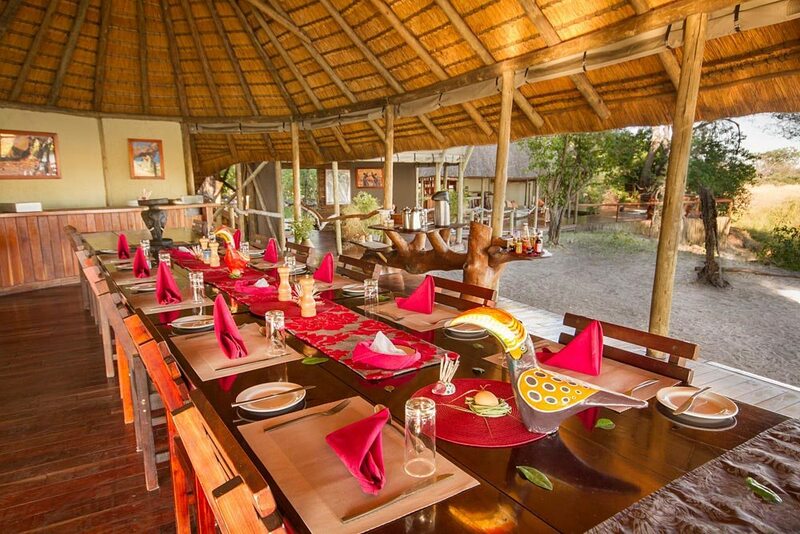 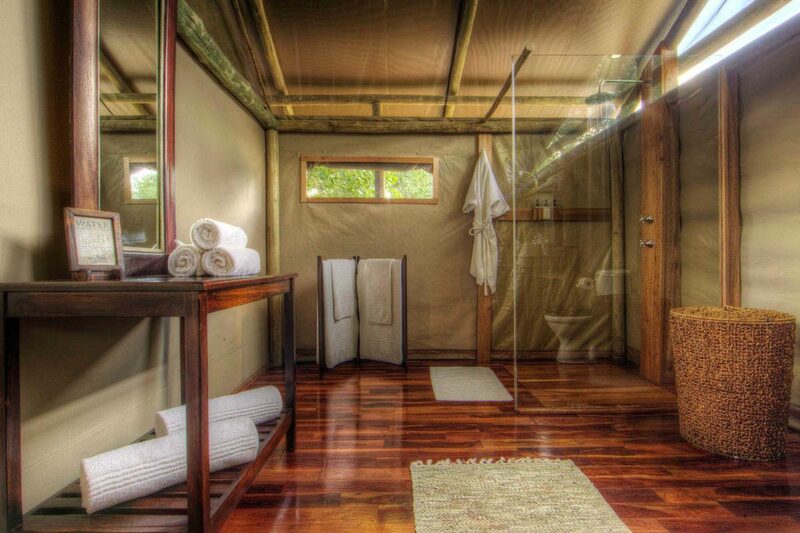 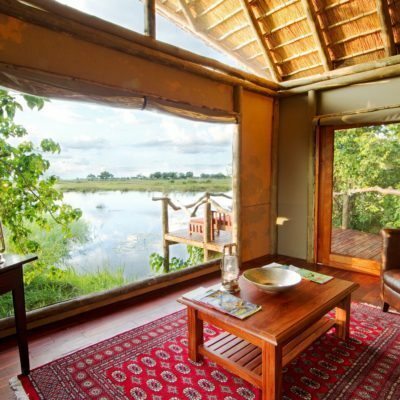 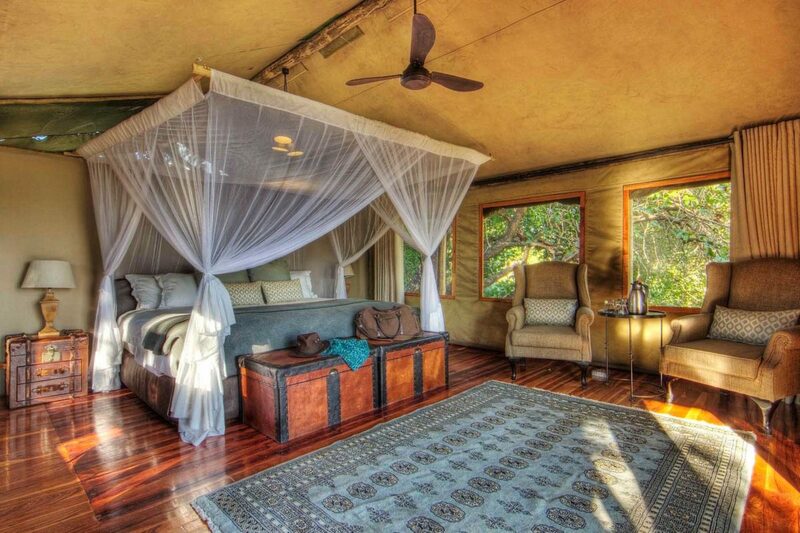 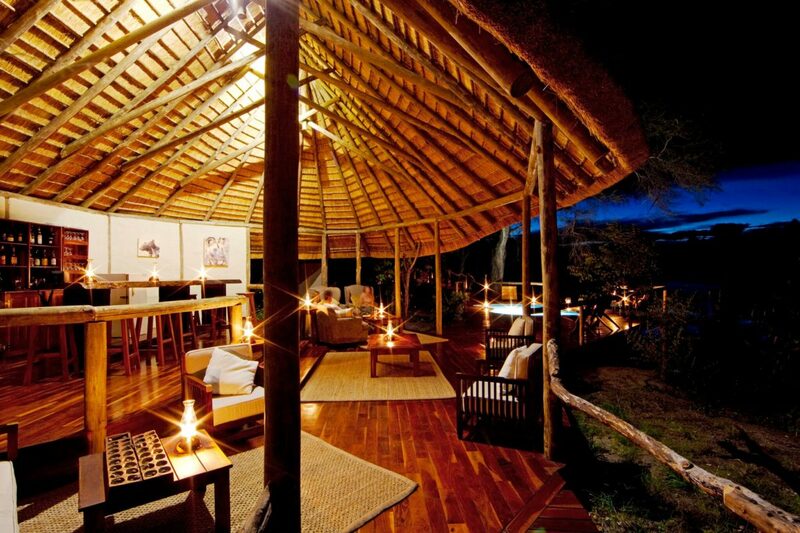 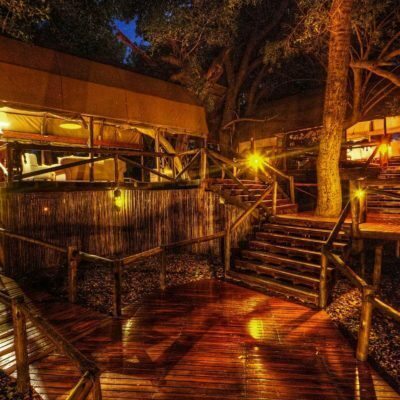 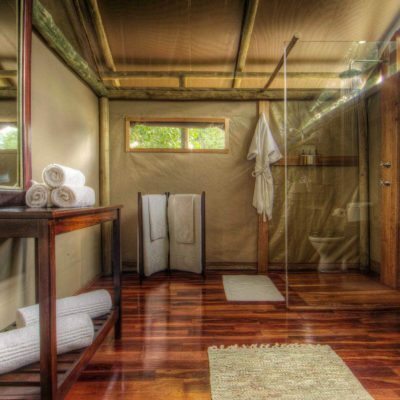 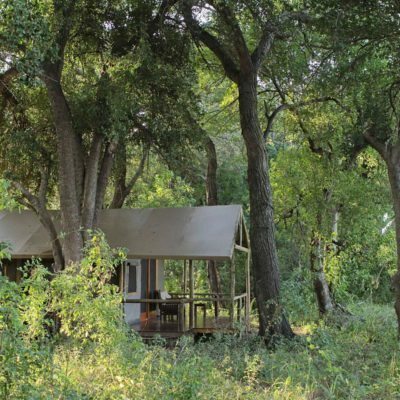 Lagoon Camp underwent a rebuild in 2011 so is modern, functional and eco-firendly. 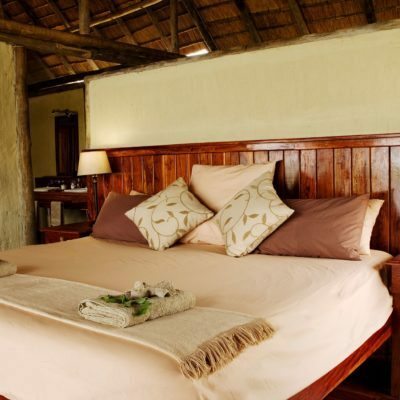 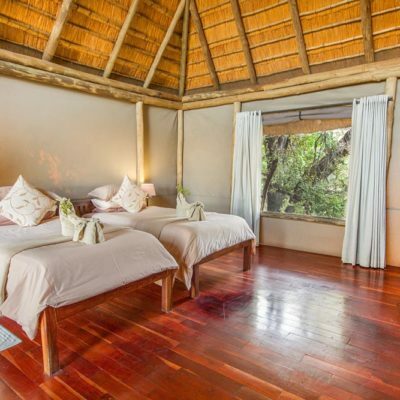 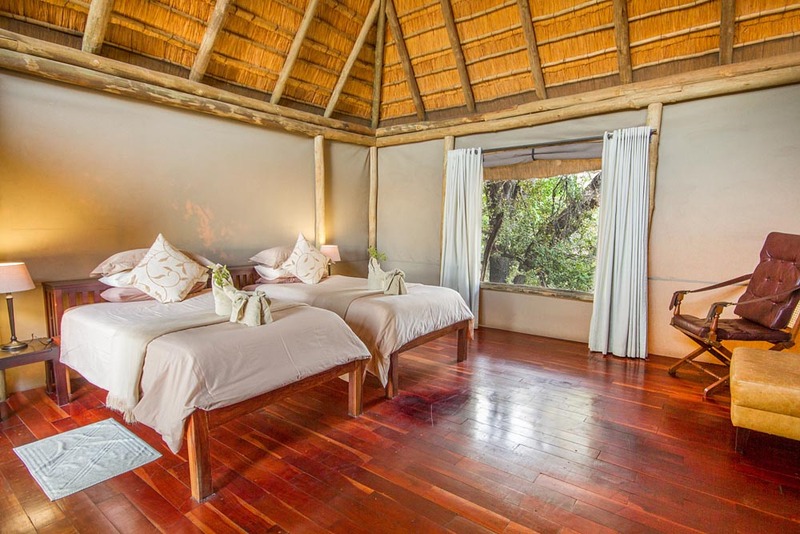 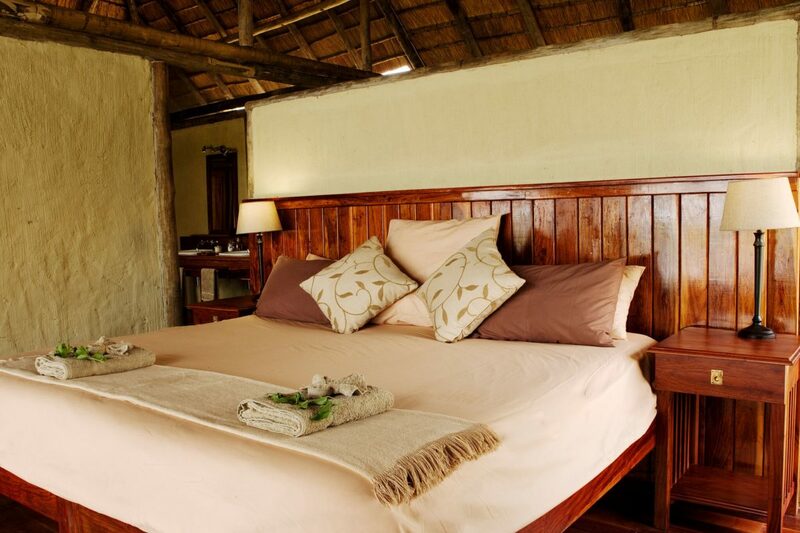 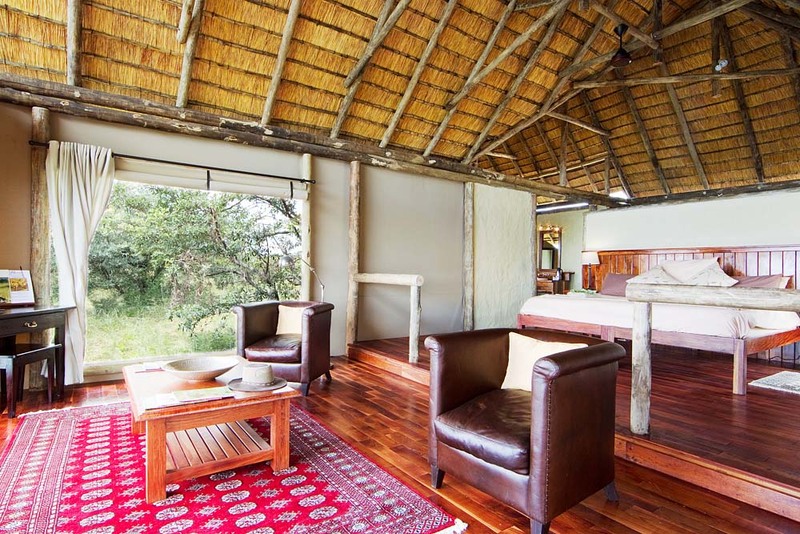 The spacious new rooms have canvas sides and are thatched covered which keeps them cool during the day. 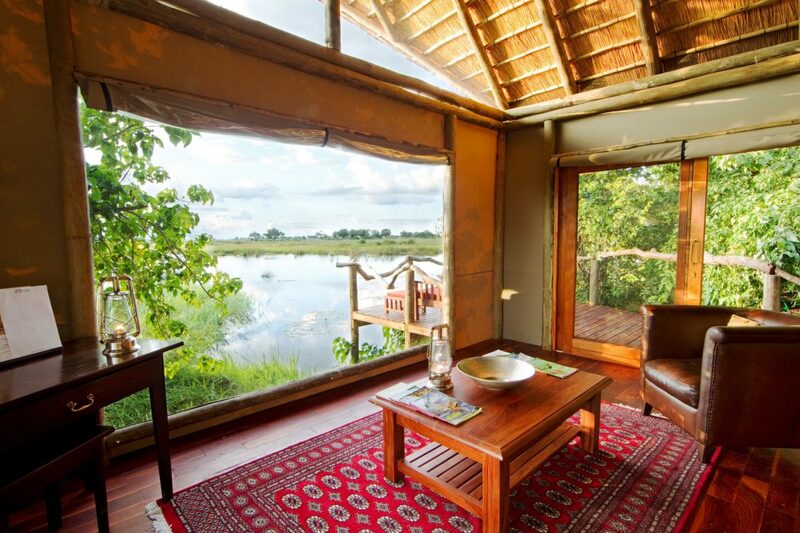 Each room is elevated and looks onto the lagoon. 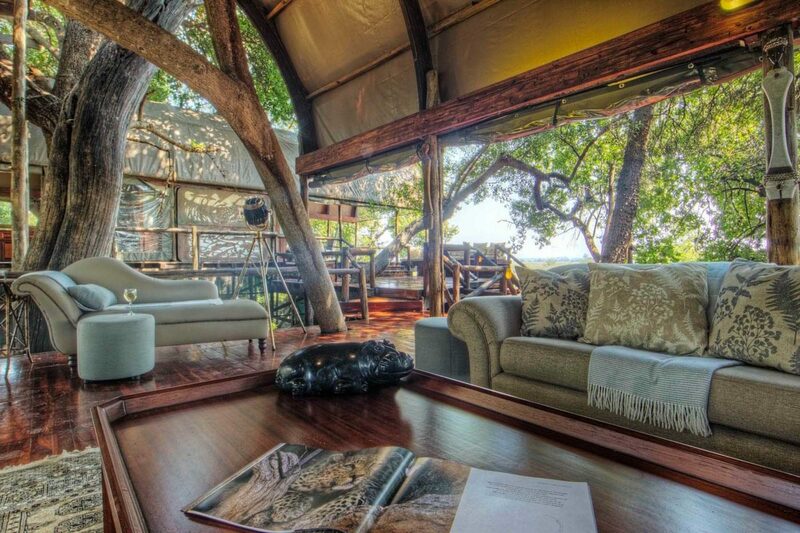 The main area blends in nicely to the surrounding ancient trees, also looking onto the lagoon. 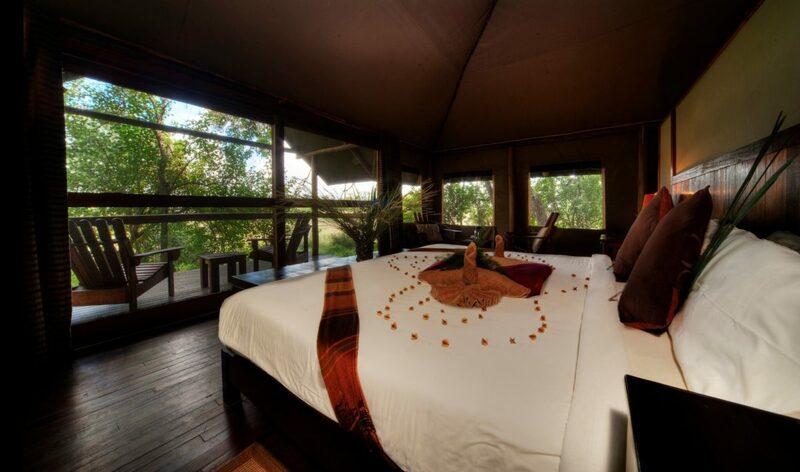 This camp also has a family room that can sleep 4 in two separate bedrooms and is located relatively (and conveniently) close to the main area of the camp. 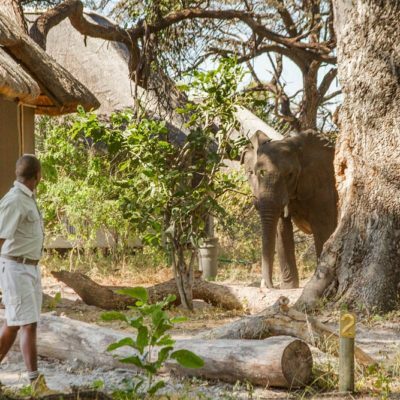 Every time we have stayed at this lodge, we have been blown away by the sheer quality of the game viewing and the ability of the guides to track and find animals. 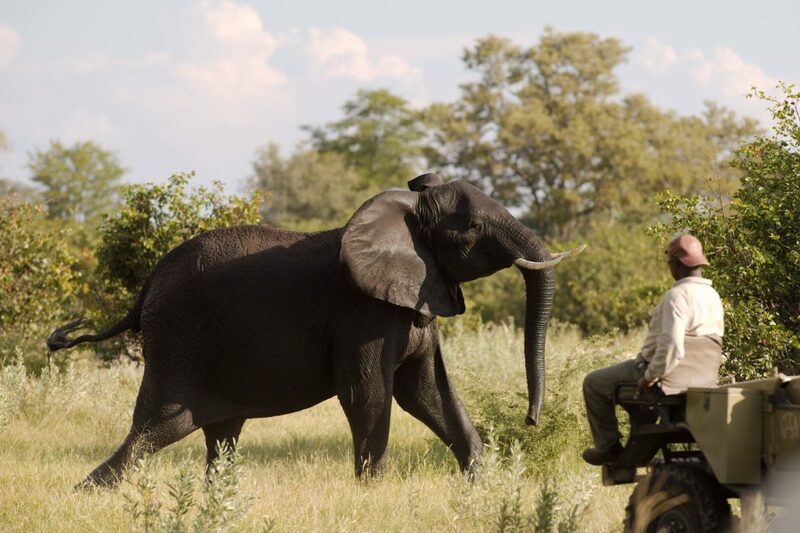 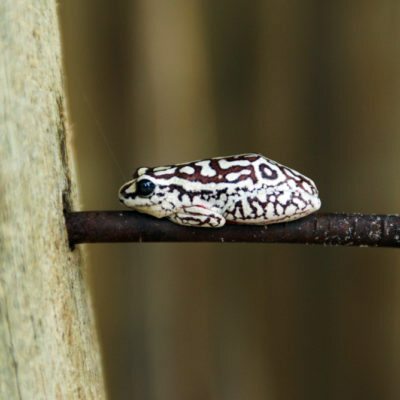 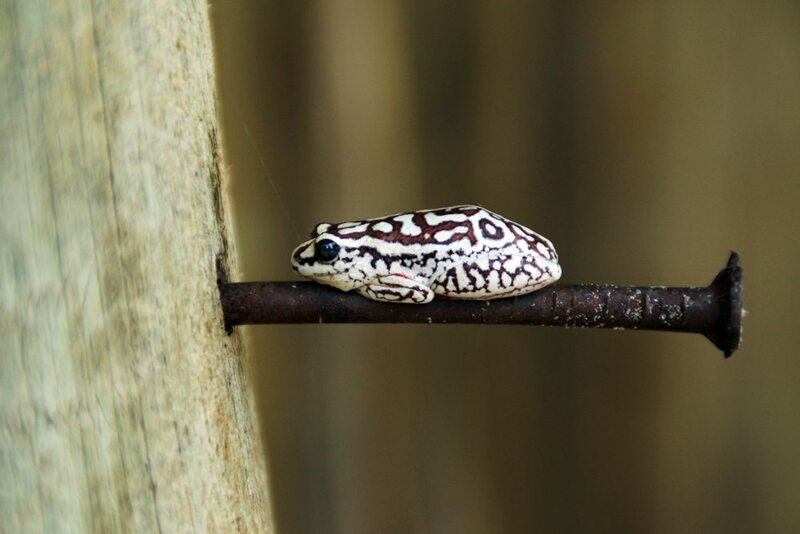 Generally, the standards of “bush lore” of the guiding team is very high and we have been able to find and follow the predators we want to see on our request. 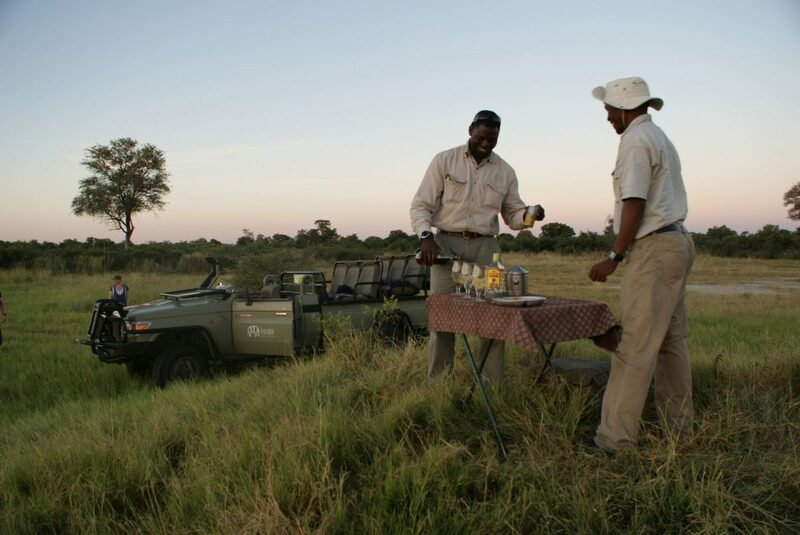 The wild dog breeding season (June, July, August) is an exceptional time to be at Lagoon Camp, as they know where the dogs den. 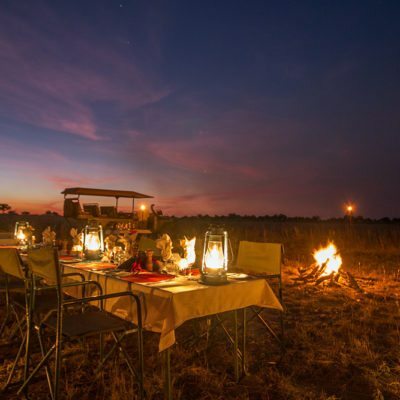 Indeed, this might be what makes this camp so popular, so you definitely have to book long in advance to secure space during these months. 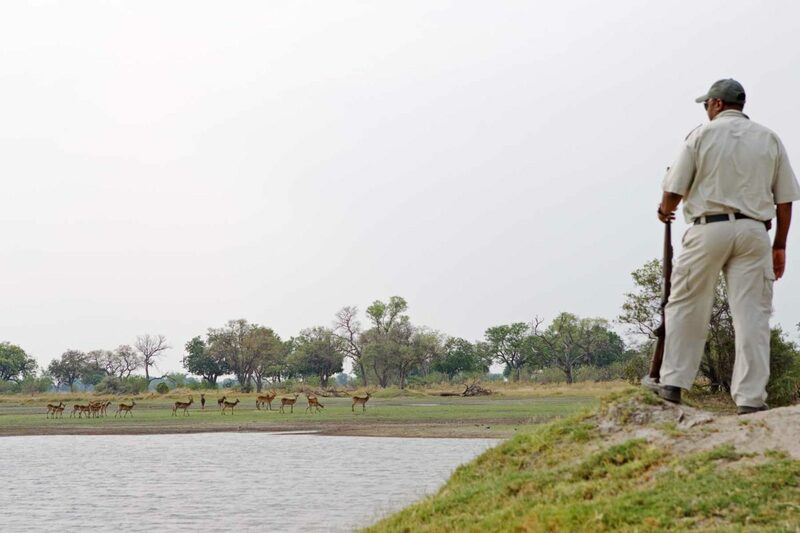 Further, the late (hot) dry season on the Kwando river is spectacular – you have a good chance of seeing herds of buffalo and elephant more than 1000 strong during this time. 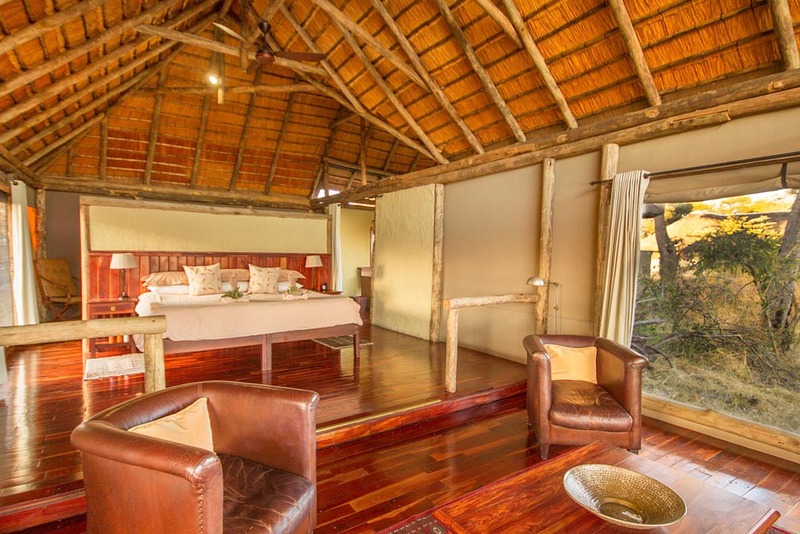 As with all KWANDO properties, we like the emphasis on game viewing activities, rather than excessive luxuries in the lodge. 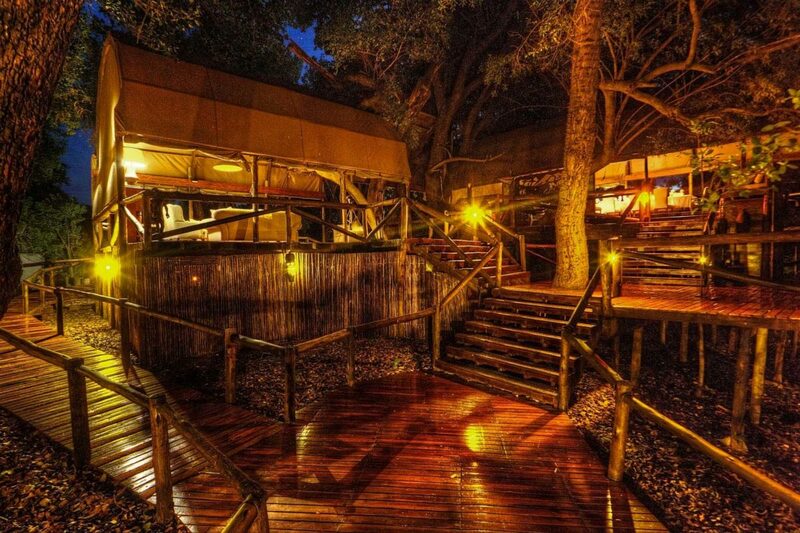 We highly recommend a stay here!